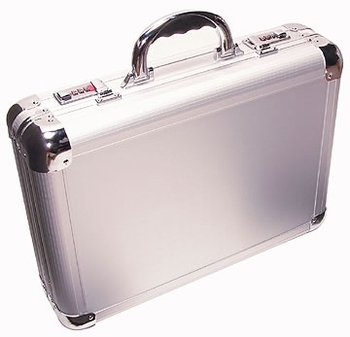 Odyssey KLC1 Laptop Case DJParts - All Variety of Parts that DJ Needs. The KROM series laptop attache is made for those of you who roll in style. Dual combintation locks, additional compartments and a sleek matte silver design ensure your laptop and you go out in style. Holds laptops up to 17 inches.